My son has been reading several new books over the past few months, and several of them have been by Tali Carmi. 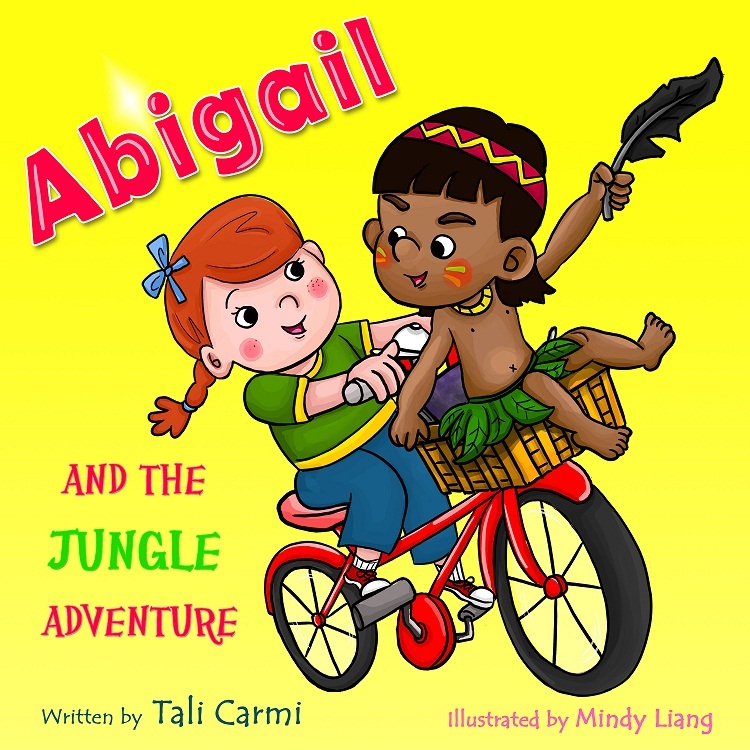 The latest Tali Carmi book that he read was, Abigail And The Jungle Adventure. This is a wonderful book about a girl named Abigail. Abigail found a magical bicycle in her grandparents' old house, and this bicycle takes her to the magnificent Amazon jungle. Who will she meet there? What will she discover? This beginner reader’s eBook will inspire your kids to be open to new cultures, and be more curious and enthusiastic about exploring various places. Your kids will enjoy full-color illustrations of Abigail and the Jungle life. 3. Enthusiastic about exploring new things. The illustrations in Carmi's books are always cute and the books are always very kid friendly. There is absolutely no violence or anything inappropriate in any of her children’s books that my son and I have read together. This one is no different. I think this sort of thing is very important when introducing a young child to new books. It is very easy to read and comprehend for young/beginning readers. It's not a long story which is good because not many young readers will get into a book that is too long and won't hold their attention. This book is good because the story is about a young girl who magically travels to a new place, meeting new animals and makes new friends. I think that books like this are very entertaining for young children and encourage them to use their own imaginations. My son loved all of the characters in the book. He has read the book over a few times and loves talking about it. He likes to pretend that he’s going on an adventure to the jungle and meeting all kinds of new animals and making discoveries just like little Abigail. Yes, I recommend this book for both boys and girls. Buy a copy of Abigail And The Jungle Adventure ebook on Amazon!